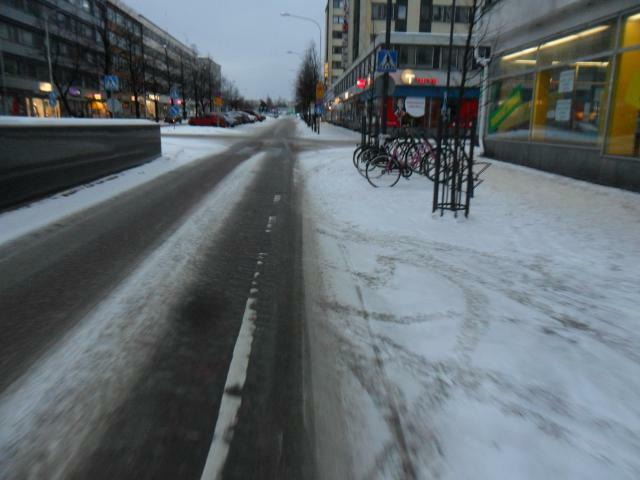 Case 1: Three meters of smooth, gritted bikeway. The snow gets dumped in the ditch on the right. This is one of the major routes between downtown and the northern parts of the town. Case 2: On street lane. Most of the snow has been transported away as there are no piles like in the pic above. No gritting to be seen. Ice and snow on the right. 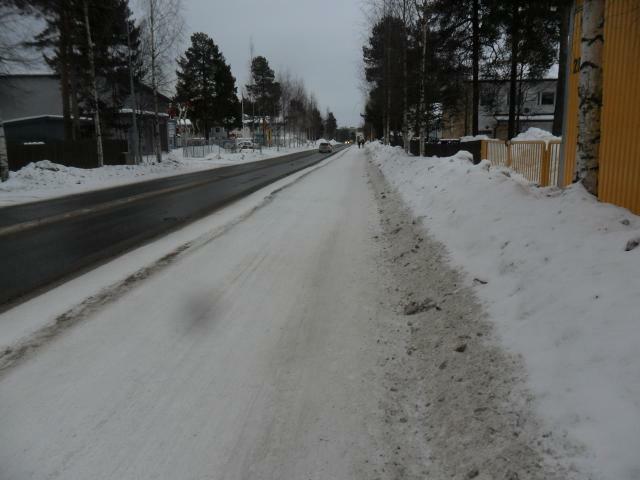 Left side of the lane might be clear asphalt or black ice. Oh, that's right, cars are riding in the bike lane and the lane marking is gone already. On the left is an entrance to the parking cave, and the drivers are afraid of crashing into the concrete. After the intersection they do not drive in the bike lane as much and the whole bike lane is full of snow.